-Used for all furniture components, dark heartwood set off by white sapwood. Usually only the heartwood is used, but I often utilize both to create a two tone look. - Used for most components. Beautiful grain with an open structure and rich color. Classic choice for any piece. -Used for chair legs and spindles. 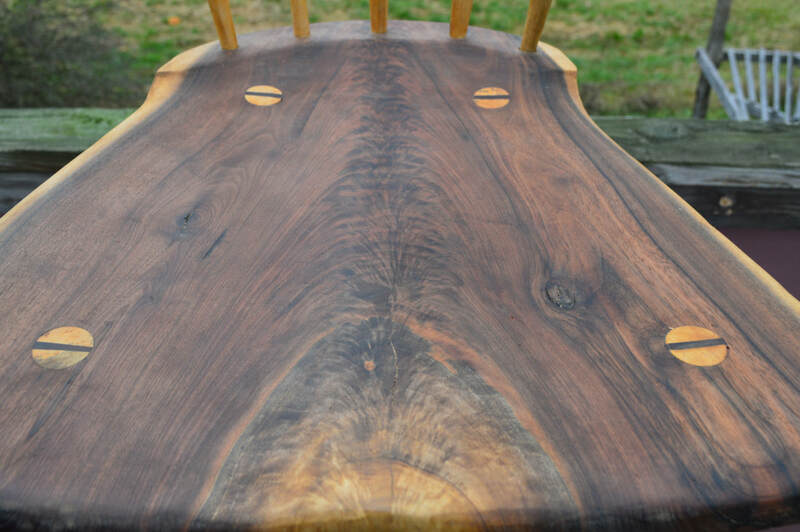 Limited availability for table tops and other components. Clean white wood, with a closed grain. -Used in the same way as maple with a similar appearance, except that it has an open grain. -Red heartwood and white sap wood. Very warm appearance. Cherry darkens with age, so new pieces may not match your collection. Can be used to make any and all components. -I keep an eye out for interesting woods with unique characteristics like a figured grain or spalted coloration. Availability is very limited but I usually have something cool in the stack.